This is only really a signpost site for our main one, which is HERE. Well - it isn't Discworld. It's DRACULA. But - it's written by Discworld's Stephen Briggs and with a poster design by Discworld's Stephen Player. The Unicorn Theatre's medieval walls and oak beams will be the perfect backdrop to Bram Stoker's classic gothic tale of gothic horror. We think this one may prove popular, and tickets will go on sale on 10 September from our WeGotTickets site here. Well, as it says above, they're not available yet. They go on sale, online, on 10 September at 09:00, and not before. Put the date into your calendar... our last Discworld show (Hogfather - see photo above), sold out in under 36 hours! The show will be staged in Abingdon. We are amateurs so no, we won't be touring and we won't be videoing the show. 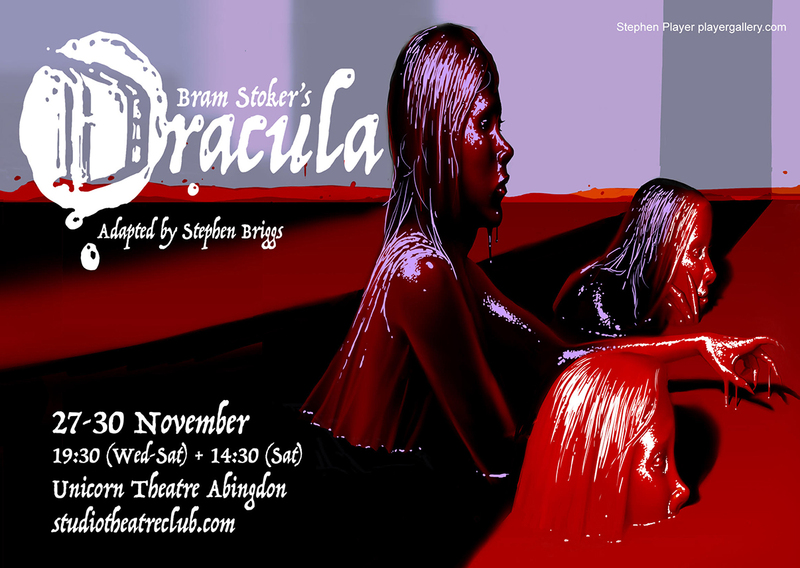 The only way to see it is to buy tickets when they become available and travel to the Unicorn Theatre, Abingdon. More seriously, please note that The Unicorn Theatre is part of Abingdon Abbey Buildings - a scheduled ancient monument. There are lots of steps and awkward changes of level throughout the building. There is, effectively, no wheelchair access for most productions (including this one) and the buildings may pose challenges for anyone with mobility issues. 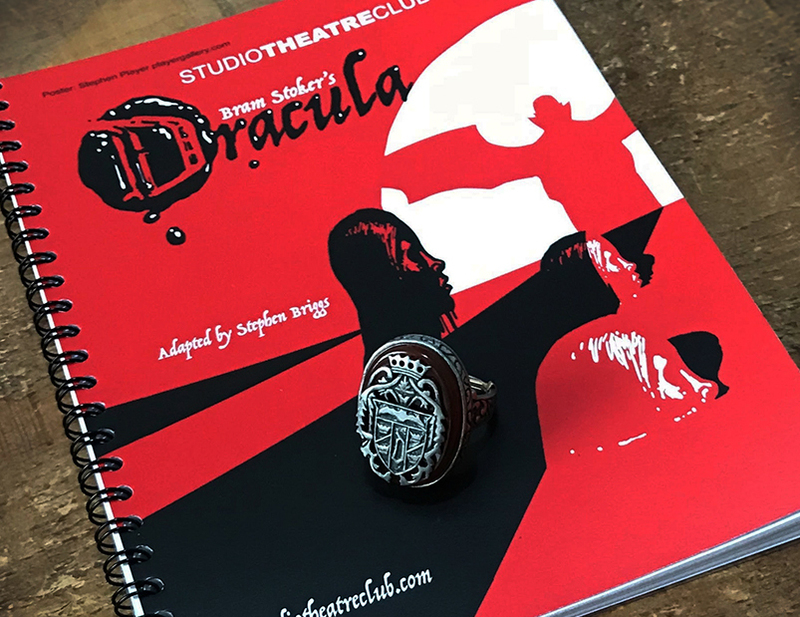 The script (with cover design by Stephen Player), with the Dracula ring. Have a look at our main website - or email us.